Does your ediscovery process need a tune up? 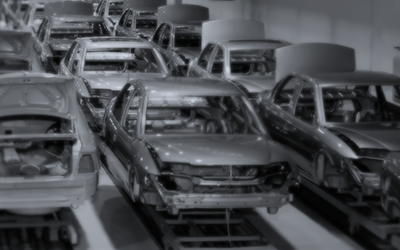 Get proven ediscovery best practices for automotive manufacturers in this solution brief from Zapproved. The automotive sector has experienced an extraordinarily challenging few years. More than 100 million vehicles were recalled in 2014 and 2015 — a new record — from major automotive manufacturers, including GM (ignition cut-off), Toyota (unintended acceleration), Takata (airbag recall) and Volkswagen (emissions deception). The fallout from several high-profile cases underscores the need for more defensible litigation response strategies and ediscovery processes. On top of that, tough compliance rules and outdated discovery practices leave many automotive manufacturers road weary. You can take control of your legal hold, preservation and discovery process with these road-tested ediscovery solutions. Based on Zapproved’s experience working with automotive manufacturers, we’ve created a comprehensive guide with best practices to help you get started. Reduce risk and cultivate a culture of compliance. for valuable insights about how to improve your ediscovery practices.